We feature high quality stainless steel dissection pins in various sizes. All three sizes are good to have for general purpose dissections. 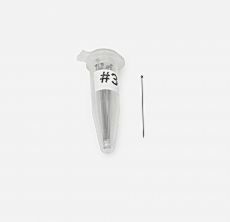 The #3 pins are good for pinning out gross tissue specimens, while the 0.2 mm pins are good for isolating smaller pieces of tissue. The 0.1 mm pins are good for pinning out the finest connective tissue. 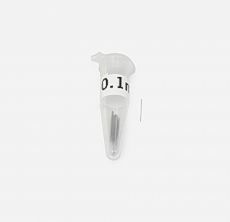 Dissection Pins, 0.1mm dia, 100 pk. 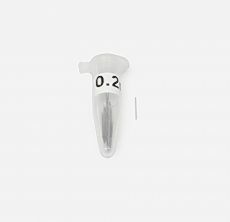 Dissection Pins, 0.2mm dia, 100 pk.